Newspaper advertising revenues are finally on the upswing as the world economy rebounds, but global newspaper circulation is slightly down, according to the annual survey of World Press Trends published Monday by the World Association of Newspapers. Global newspaper advertising revenue rose 2 percent in 2003 from a year earlier and is forecast to continue a steady increase through 2006. Global newspaper circulation declined 0.12 percent in 2003 compared with a year earlier but was up 4.75 percent over the five-year period from 1999 to 2003. The number of newspaper websites has doubled since 1999 and the global internet advertising market continues to grow steadily. The number of free dailies is growing dramatically — a 16 percent increase in 2003 from a year earlier and a 24 percent increase over the past five years in countries for which data was available. "2003 was yet another year of great changes and challenges for newspapers," said Timothy Balding, Director General of WAN. "The pressures on the circulation of newspapers continued, but newspapers showed a greater willingness than ever before to innovate and experiment with strategies to win new readers. "Many newspapers worldwide changed their formats to satisfy reader demand and many others are still studying the opportunities that exist in compact formats," he said. 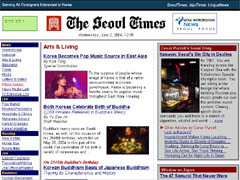 "Many more newspapers converted to full colour, with benefits both for advertising and editorial. There is evidence that newspaper internet operations are capturing new audiences. 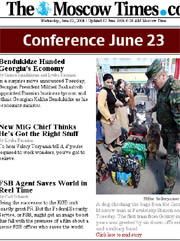 And the growth in new free commuter dailies is also expanding the reach of the written press to a younger generation." Though literacy in Afghanistan is only 20 percent, an estimated 265 newspapers were published in 2002, with 150 distributed in the capital, Kabul. Only about 8 percent of Paraguayans believe that the press is trustworthy. This public cynicism, combined with a recession, has drastically reduced circulation at most daily papers. In Senegal, one newspaper costs the same as one kilo of rice. Sixty percent of readers borrow the newspaper rather than purchase one. Newspaper circulations were up in 35 percent of the countries surveyed year-on-year in 2003, and up in 28 percent of the countries from 1999-2003. Some developing markets showed strong circulation gains, while many mature markets saw sales decline. In the 15 countries of the "old" European Union, 13 reported circulation losses in 2003 compared to 2002 and in the five years from 1999. Circulation in the 15 was down 2.2 percent year-on-year and 5.9 percent over the five years period, representing a loss of 1,415,000 daily sales in one year and 4,507,000 daily sales over five years. The two countries in this group which showed growth in 2003 were Belgium (+0.2 percent) and Spain (+0.1 percent). Those reporting losses were: Austria -1.2 percent; Denmark -3.7 percent; Finland -1.7 percent; France -1.51 percent; Germany -3.0 percent; Greece -1.0 percent; Ireland -7.8 percent; Italy -1.7 percent; Luxembourg -2.4 percent; Netherlands -2.5 percent; Portugal -4.03 percent; Sweden -0.1 percent; and the United Kingdom -4.7 percent. Over the five years 1999-2003, circulation declined in: Austria -12.9 percent; Belgium -5.5 percent; Denmark -9.6 percent; Finland -2.7 percent; France -4.98 percent; Germany -8.1 percent; Greece -8.0 percent; Ireland -3.8 percent; Luxembourg -7.12 percent; Netherlands -6.2 percent; Portugal -16.76 percent; Sweden -1.3 percent; and the United Kingdom -3.4 percent. Two countries increased circulation over the five-year period: Italy (+0.1 percent) and Spain (+0.6 percent). In the countries which entered the EU in 2004, total circulation fell -2.3 percent in 2003 compared to 2002. In the five year period from 1999, circulation was down -2.8 percent. Elsewhere in Europe, Iceland saw a drop in circulation of -7.79 in 2003 and -23.08 percent over five years, Norway recorded a drop of -2.9 percent year-on-year and -6.4 percent over five years, Switzerland saw a decrease of -2.1 percent in the year and -6.2 percent over five years, and Turkey saw a decline of -23.2 percent in the year and -42.7 percent over five years. 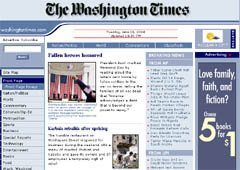 The circulation of US dailies remained stable in 2003, according to preliminary data provided by the Newspaper Association of America, and was down -1.42 percent over five years. In Japan, newspaper sales fell -0.67 percent in 2003, and sales have decreased by -2.60 percent over the past five years. Circulation in China was up +4.17 percent year-on-year and +35.69 percent over the five-year period. China also has the largest total daily circulation of any country in the world with more than 85 million copies sold, followed by India (more than 72 million copies), Japan (70,339,000 copies), and the United States (55,185,000 copies). In Russia, the number of daily titles is growing rapidly: from 222 in 2001 to 428 in 2003, or nearly double in two years. In Latin America, where it has been difficult to obtain reliable data, the Brazilian newspaper market declined -10.7 percent in terms of sales in 2003 and was down -7.2 percent over the last five years; Costa Rica reported circulation losses of -3.1 percent in 2003 and -2.4 percent over the last five years; while Uruguay suffered a -26.6 percent drop in sales in 2003. Indian newspaper sales increased +9.16 percent in 2003 and were up +23.21 percent over five years. Singapore's newspaper sales declined -0.5 percent in 2002 (the latest figure available) and were down -0.6 percent over five years. Malaysia newspaper sales increased +4.1 percent in 2002 and were up +9.7 percent over five years. Australia recorded a decline of -0.79 percent in sales in 2003 and -4.4 percent over five years, while New Zealand newspaper sales were down -0.8 percent year-on-year and -5.3 percent over five years. The Norwegians and the Japanese remain the world's greatest newspaper buyers with, respectively, 684 and 646.9 sales per thousand population each day. Sweden comes next with 590 followed by Finland with 524.2. Japan is home to 20 of the world's top 100 largest newspapers in circulation terms. The United States is next with 18, followed by China and India at 16 each. Global circulation figures indicate that the figure for world-wide newspaper readership is well over one billion. North America is the world's largest advertising market for daily newspapers, with 57 percent of the world's advertising share for dailies, followed by Europe with 23 percent, the Asia-Pacific region with 16 percent and the rest of the world with four percent. In the "old" European Union, newspaper advertising revenues were up +2 percent in 2003 and +4.5 percent over five years. Nine of the 13 countries for which figures were available in 2003 recorded increases in advertising revenue: Austria (+1.9 percent); Belgium (+16.7 percent); Denmark (+4.2 percent); Finland (+1.9 percent); Germany (+2.8 percent); Greece (+54.3 percent); Luxembourg (+4.6); Netherlands (+14.2 percent); and the United Kingdom (0.7 percent). Advertising revenues decreased in France (-3.6 percent), Italy (-0.5 percent), and Spain (-27.5 percent). Advertising revenues did not change year-on-year in Sweden. Over the past five years, advertising revenues were up in eight of the 13 EU countries for which figures were available: Austria (+0.8 percent); Belgium (+22.6 percent); Denmark (+12.8 percent); Greece (+32.7 percent); Italy (+7.1 percent); Luxembourg (+25.2 percent); Netherlands (+6.9 percent); and the United Kingdom (7.3 percent). In the countries which entered the EU in 2004, advertising revenues increased +11.4 percent in 2003 and rose in six of the seven for which figures were available. Advertising increases were recorded in Poland (+44.7 percent); Czech Republic (+6.1 percent); Slovakia (+23.1 percent); Hungary (+11.3 percent); Estonia (+12.5 percent); and Latvia ((+5.2 percent). Revenues remained stable in Lithuania. Over the five years, advertising revenues were up +24.6 percent in the region and rose, sometimes spectacularly so, in six of the countries: Poland (+102.9 percent); Czech Republic (+51.9 percent); Slovakia (+69.8 percent); Hungary (+42.5 percent); Estonia (+25.4 percent); and Latvia (+24.9 percent). Advertising revenues were down in Lithuania by -11.1 percent in the same period. In the United States, newspaper advertising revenues grew +1.9 percent in 2003 compared to a year earlier, but were down -2.9 percent over the past five years. In Japan, the figures were down -1.0 percent and -8.5 percent respectively. Advertising revenues in China increased +11.7 percent year-on-year in 2003 and +87.0 percent over five years. In Russia, advertising revenue grew +17 percent in 2003. In Latin America, advertising revenues rose +4.5 percent in Brazil year-on-year and +11.4 percent over five years . In Chile, advertising revenues were up +5.2 percent in 2003 but were down -10 percent over five years. Advertising revenues in Uruguay rose +16.5 percent last year. Advertising revenues fell -6.2 percent in Turkey over one year and -26.15 percent over five, in constant terms. 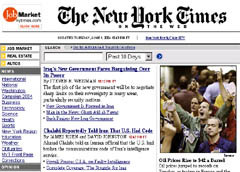 Although newspaper advertising revenues are increasing in many markets, newspaper's share of the world ad market declined from 31.2 percent in 2002 to 30.8 percent in 2003. But newspapers remain the world's second largest advertising medium, after television, which took 38.8 percent of world advertising expenditure in 2003. Sixteen countries saw newspaper advertising market share growth in 2003: Argentina, Belgium, Chile, Czech Republic, Finland, Germany, Hong Kong, Iceland, Ireland, Malaysia, Netherlands, Peru, Poland, Romania, Serbia-Montenegro, and South Africa. Over five years, newspapers in 16 countries increased market share: Argentina, China, Hong Kong, Iceland, Indonesia, Ireland, Kuwait, Lebanon, Malaysia, Burma, Pakistan, Romania, Russia, Serbia-Montenegro, United Arab Emirates, and the United Kingdom. 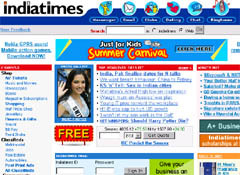 The growth of the number of on-line editions has slowed since 2001, but is more than double the number in 1999. Internet advertising revenues topped 10 billion US dollars in 2003, and are forecast to grow to more than 13 billion by 2006. The growth has been steady from 1999, when it stood at over five billion dollars. In the United States and Canada, internet advertising revenues increased 7 percent from 2002 to 2003, while in the Asia-Pacific region, internet advertising revenues grew 11 percent in the year. European internet ad revenues grew 5.9 percent. A WAN study of internet classified advertising shows a gap between expectations about internet advertising and reality. Publishers questioned in the study said that jobs ads would be the first to migrate from print to internet, when in fact automobile ads are now, on average, providing the greatest percentage of online classified revenues. Free newspaper advertising revenues have increased 1.5 percent over one year and 22.6 percent over five. 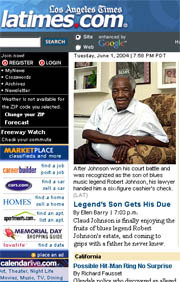 In some markets, free dailies have been growing distribution; in the United Kingdom, free newspaper distribution grew from 237,000 copies in 1999 to 864,000 copies in 2003. Metro International, the Swedish-based publisher of free commuter dailies, is publishing 5.5 million daily copies in 16 countries. The World Press Trends 2004 edition is now available at by clicking here or by contacting the World Association of Newspapers, 7 rue Geoffroy Saint Hilaire, 75005 Paris France. Tel: +33 1 47 42 85 00, Fax +33 1 47 42 49 48. E-mail: contact_us@wan.asso.fr. Information on the tax rates and conditions for the press, on subsidies, on ownership regulations, and more. 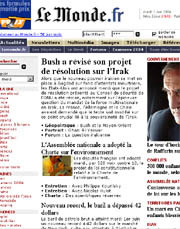 The Paris-based WAN, the global organisation for the newspaper industry, defends and promotes press freedom world-wide. It represents 18,000 newspapers; its membership includes 72 national newspaper associations, individual newspaper executives in 102 countries, 13 news agencies and ten regional and world-wide press groups. Inquiries to: Larry Kilman, Director of Communications, WAN, 7 rue Geoffroy St Hilaire, 75005 Paris France. Tel: +33 1 47 42 85 00. Fax: +33 1 47 42 49 48. Mobile: +33 6 10 28 97 36. E-mail: lkilman@wan.asso.fr. 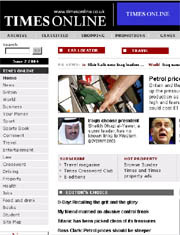 The above articles are from World Association of Newspapers.